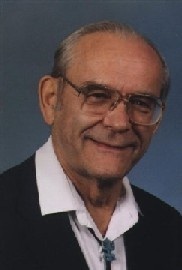 Ralph J. Slutz, 88, a physicist and computer pioneer who made critical contributions in two milestones of the human computing history, passed away on November 16, 2005, at Boulder Community Hospital, Colorado, USA. Dr. Slutz was among the first four principal engineers working with John von Neumann to build a computer with a central memory to store and modify data and instructions (the well-known Electronic Computer Project, also called the IAS computer) at the Institute of Advanced Study in Princeton University (1946-1948). He later became the chief architect working with Samuel N. Alexander, Director of the Electronic Computer Laboratory of the National Bureau of Standards (the NIST now), to build the SEAC computer, which was the first computer with an internally stored program in the US government, and the first operational machine of this kind in the US (1948-1950).